First-round Eagles draft pick Freddie Mitchell dropped off the map after popping off about the opponent before the Eagles opposed the Patriots in the Super Bowl. I always thought Andy Reid and his teammates blew a golden opportunity to jump on board with Mitchell and make the game personal. Even Joe Banner. With a little more fire the Iggs would have won the game. The Pats were asking to be beaten that night. At any rate Mitchell is back blogging (http://freddie-mitchell.blogspot.com/). He says he wants to return to the field, but there's almost no chance it will be the NFL. The UFL (with an average salary of $75,000) is starting up though. When I think of Mitchell, I think of minicamp as much as his conversion on fourth-and-26 in the playoffs against Green Bay. Mitch was a minicamp story when he didn't report for the 2005 camp, Eagles head coach Andy Reid saying Mitchell was asked not to participate. Later Mitchell was released. If Mitchell could do that one over, he would take the Sheldon Brown angle. "A big misconception is that I was cut from the team when in fact I asked Coach Reid to be released," Mitchell wrote on his blog. "Thinking back on it I should have gone to the media and informed them first that I was asking to be released rather than it looking like I was being cut from the team." After accumulating six draft picks in the fifth round largely through trades, the Eagles dealt the two choicest selections to the Patriots for CB Ellis Hobbs. Hobbs has nine career interceptions and three TD's on kickoff returns in four seasons. Obviously the Eagles are tweeting disgruntled CB Sheldon Brown, who has 14 picks in seven seasons. Hobbs has been a starter, and the Eagles recently signed CB Joselio Hanson to starters money. Hobbs also is unhappy about his contract, which expires after the season. The Birds drafted TE Cornelius Ingram (Florida), CB Victor Harris (Va. Tech) and OT Fenuki Tupou (Oregon) in the fifth round. Ingram is an athletic project with basketball skills coming off a torn ACL. Harris, nicknamed "Macho," returned four of 15 career interceptions for touchdowns. Tupou played LOT. You've got to check out Eagles first-round choice Jermey Maclin at http://www.youtube.com/watch?v=Wzrltr66LqI. The guy looks like a game-breaker. And when you get a minute evaluate second-round pick LeSean McCoy, the running back out of Pitt. He has balance, a big-time burst and, uh, fumblitis at times. He's at http://www.youtube.com/watch?v=6IvvhjERrV0. Is McNabb a go for minicamp? Hardly a year goes by when at least one Eagle sits out the minicamp to make a statement. Corey Simon and Jeremiah Trotter opted to sit out camps by refusing to sign their franchise tenders. They wanted long-term pacts. More recently Brian Westbrook wouldn't sign his restricted free agent tender. And Freddie Mitchell was asked to stay away. This year Sheldon Brown is very unhappy with his contract and anything but a lock to to show up. And let's not forget quarteback Donovan McNabb, who has been very, very quiet since his preliminatry overture for a contract extension was rebuffed by the Eagles. Andy Reid expects cornerback Sheldon Brown to attend the mandatory minicamp later this week despite the veteran's upset over his contract. Brown hasn’t missed a game or basically a full practice since joining the Eagles in 2002 but is unhappy about his contract. Last week he loudly requested the Eagle either re-work the deal he thinks he's outperformed or trade him to a team that will. Knowing Brown, he will show up. But don't count on him to be around for the voluntary OTA's. The Eagles traded up from 21 to 19 to select WR Jeremy Maclin of Missouri, the most explosive player in the draft. The Eagles dealt their first-rounder, No. 21, and a sixth-rounder, 195th overall, to haul in Missouri product Maclin, who ran a 4.45 40-yard dash at the scouting combine. Widely forecast to come off the board at the seventh pick with the Raiders, Maclin returns kicks in addition to playing WR. There is a lot of help on the board just four picks from where the Eagles sit at No. 21. Drew Rosenhaus, who now has just one Eagles client, predicted WR Anquan Boldin would be traded by the end of the first round of the draft. Though the NFC East's Eagles, the Giants and the Redskins all are listed as suitors, the EAGLES quietly aren't the best fit if Boldin is serious about wanting his contract done immediately. With 15 minutes to go until the draft, one rumor has the Eagles sending the 21st pick, CB Sheldon Brown and another choice to the Browns for No. 5 and WR Braylon Edwards, who led the league n dropped passes last year. Privately it really is a rumor. The Eagles offered to take TE Tony Scheffler off the hands of the Broncos, according to a report in the Denver Post. Scheffler has the vertical speed the Eagles lack at the position now that they've gone in another direction from L.J. Smith. The Eagles also offered the Chiefs a third-round pick for TE Tony Gonzalez, who was dealt to the Falcons for a second. Eagles quarterback Donovan McNabb weighed in on the late Harry Kalas, the long-time voice of the Phillies who passed away earlier this week at age 73. "It's a sad day in Philadelphia. The Voice of the Phillies, Harry Kalas, has passed away. Like many others, I am saddened and have my own personal experience to share. "In one of my first few years in Philadelphia I was fortunate enough to meet Harry at an awards ceremony - I think it was the Wanamaker Awards. 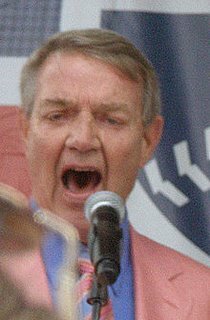 While I didn't know him at the time as the Voice of the Phillies, I was in awe of his regal voice from NFL and MLB highlight shows. At that awards event I listened to people talk about Harry in such endearing terms, that he touched so many lives. It was easy for me to see what so many others had already known. From that point forward, listening to his voice had taken on new meaning for me. The Eagles have been tracking defensive end Julius Peppers since it became apparent he wasn't interested in returning to the Carolina Panthers. Now, Pro Football Weekly's very credible Nolan Nawrocki writes that the Eagles were sniffing around Peppers before the Panthers put the franchise tag on him. The Eagles haven't traded a first-round pick for a player since Buddy Ryan dealt one to the Indianapolis Colts for Ron Solt. But they have two, Nos. 21 and 28, and if combining one of the firsts with a third-rounder can get the job done they owe it to themselves to bring on an everydown beast like Peppers. The only real question is whether Peppers wants to come to the Birds or a team like the New England Patriots. He has a hammer in that the Panthers cannot trade him unless he signs what in his case is a $16.7 million tender. As Nawrocki points out, Peppers is a player you have to game-plan around. Pair him with Trent Cole and you would have a deadly pass rush. Julius Peppers (above right) at a festival with Solange Knowles in a photo from www.zimbio.com photo.